A large black wood screw with a t-shaped handle. 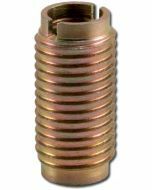 Stage Screws are used to fasten flats or scenery pieces to the stage floor. The Stage Screw goes directly into the wood stage floor. 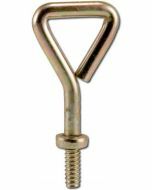 For exceptional holding power or repeated use, try the "Steel Stage Screw" instead. 0.7" x 3.45" x 4.1"